Breakfast In Your Dorm Room Can Mean Some Good Eating! We know what you’re thinking when you think of breakfast, or any meal for that matter, that’s served up in your dorm room. In fact, probably only two things come to mind: Ramen noodles and leftover pizza. Please, please, move beyond these dorm dietary staples and expand your palette. It’s true that Ramen and pizza make great dorm meals, but you’re really limiting your scope if that’s all you eat. And who wants Ramen or pizza for breakfast? Come on, you can do better than that. On those mornings when you don’t want to trudge down to the cafeteria for soggy scrambled eggs and mystery-meat sausage, DormCo has you covered. Let’s start with the basics. If your school permits it, grab a toaster or toaster oven. 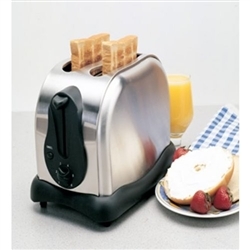 You can make all sorts of great breakfast foods…like toast. Actually, you can go way beyond toast. All those favorite breakfast staples like Pop-Tarts and Eggo Waffles can be heated up and enjoyed in the same I’m-running-late fashion that you ate them on school-day mornings. That raises a good point—some mornings you won’t have time for a full-scale breakfast in the cafeteria anyway, and a toaster will make sure you don’t have to resort to leftover pizza. Actually, you might end up resorting to leftover pizza, but at least you can heat it up! 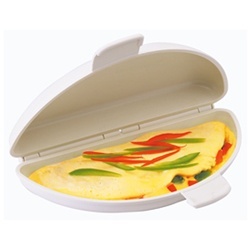 For those morning s when you do have some extra time, use our Omelet Maker to make yourself a real breakfast! All it takes is a few ingredients and a microwave, and you’ll be making omelets while saving yourself another meal pass at the school cafeteria. The Omelet Maker is the perfect example of how innovative dorm supplies can make dorm living better. We probably didn’t have to tell you that a microwave will come in handy for dorm meals, but an Omelet Maker? It’s truly a dorm item that’ll make hungry friends jealous! Hey, is that a waft of omelet coming from that dorm room? People will think your school offers room service! Not quite, but at least you’ll still enjoy an awesome breakfast in bed. And how about a super tasty and filling breakfast sandwich? DormCo’s Breakfast Sandwich Maker really takes dorm breakfast recipes to the next level. Move over toast and cereal—a whole breakfast sandwich is just a few ingredients and a microwave away. If you have a long session of morning classes, you’ll need something that’ll keep you full, and a breakfast sandwich is just what’s needed. You might not have time for one each morning, but when you do, you’ll be starting the morning off right. There’s also the myth that all quick dorm meals have to be unhealthy. They don’t, but you’ll have to have the right dorm stuff and college cooking appliances to make meals healthier than microwave dinners. 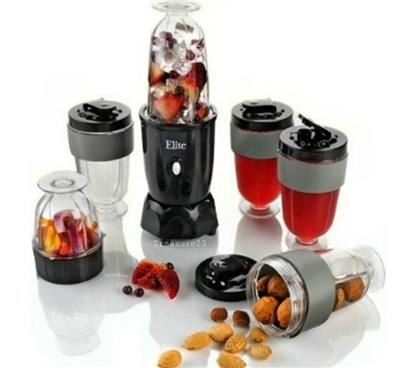 So, grab yourself a blender. Add some ice, fresh fruit, yogurt, milk…and hopefully you know what that adds up to! A smoothie! Start that day off right with a big serving of fruit. Just one slight drawback. Make sure your roommate is up too, because grinding up ice can be a bit noisy—just offer her some smoothie and you’ll be in the clear.